3 Bdrm Terraced Dwellhouse. Ground flr: V/bule. Hall. Lounge. Dining kitch. Bathrm. 1st flr: 3 Bdrms (CT band - B). Garden. Price around £99,950 Entry by arr. Viewing 07979 726653 or 07525 932093 or contact solicitors. (EPC band - D). 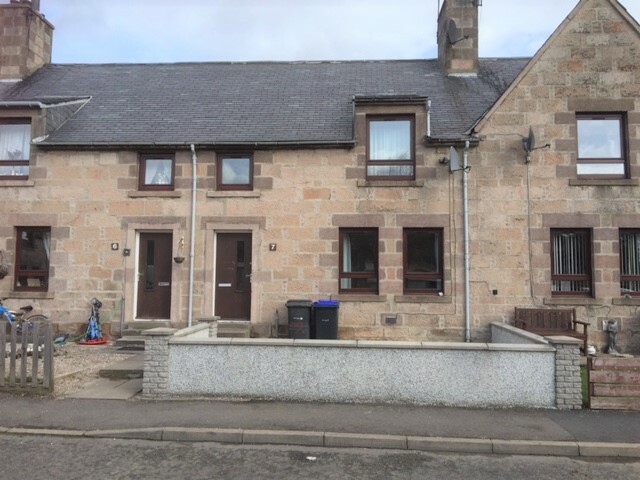 We are delighted to offer for sale this extremely spacious 3 bedroomed dwellinghouse which is situated in a quiet residential area of Rhynie situated approximately 9 miles from Huntly. Rhynie is a pleasant village with some local amenities, health centre and primary school is a short walk away and Secondary education is nearby at Huntly. 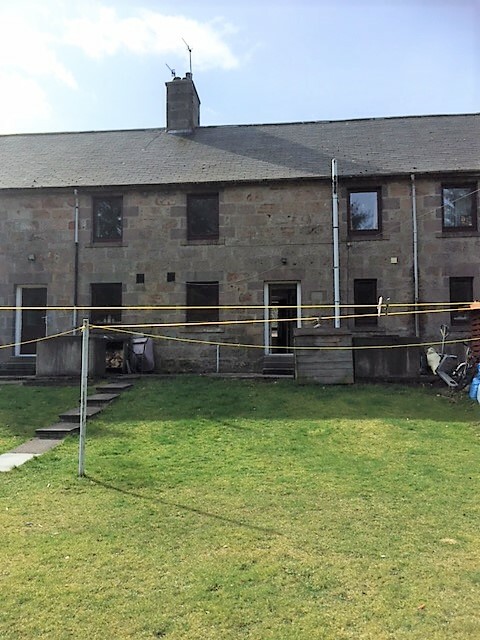 The property is ideally located for commuting to Aberdeen and Inverness, with excellent rail connections available from Huntly and Insch. Huntly is a pleasing market town and commercial centre situated to the west of Aberdeenshire on the A96 approximately 37 miles from Aberdeen. The house enjoys solid fuel central heating and double glazing as well as generous room sizes and ample storage space throughout. The property boasts a good sized garden at the rear. Viewing is essential to fully appreciate this lovely family home. Vestibule The part glazed entrance door leads into the vestibule which has wood effect laminate flooring. A large storage cupboard provides excellent storage and also houses the electric meter. Hallway The hallway gives access to the lounge, dining kitchen, bathroom, cupboard and staircase leading to the upper accommodation. Laminate flooring. Lounge (4.55m x 4.66m approx.) This good sized room has windows overlooking the front garden. Coal fire which heats radiators and water. Cupboard housing the water tank. Door to the dining kitchen. Dining Kitchen (4.31 m x 2.86m approx.) 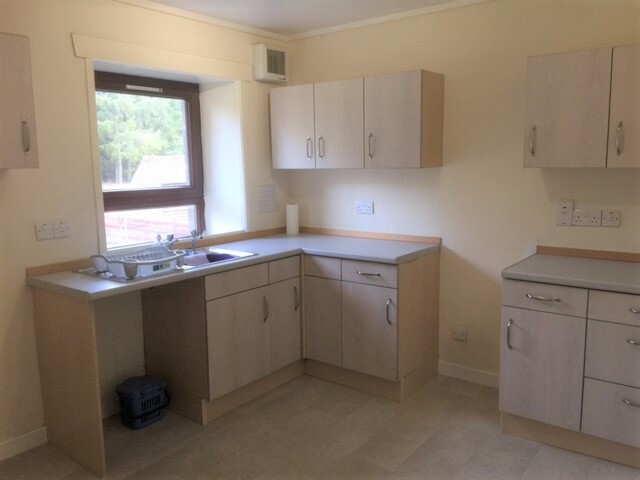 This kitchen is fitted with an excellent range of wall and base units providing ample storage and work surface facilities. 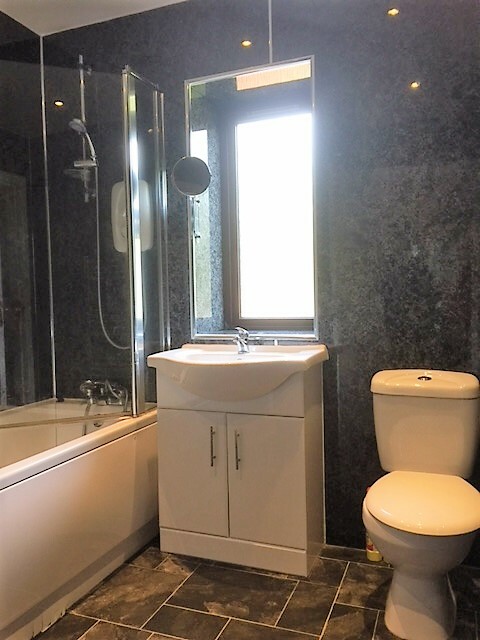 Stainless steel sink and drainer with mixer tap, radiator and rear facing window. door to rear vestibule. Bathroom The bathroom is fitted with a modern white suite comprising a w.c, wash-hand basin set into vanity unit with cupboard space below. Bath with overhead shower and attractive aqua panelled splash back. Heated towel rail and xpelair. 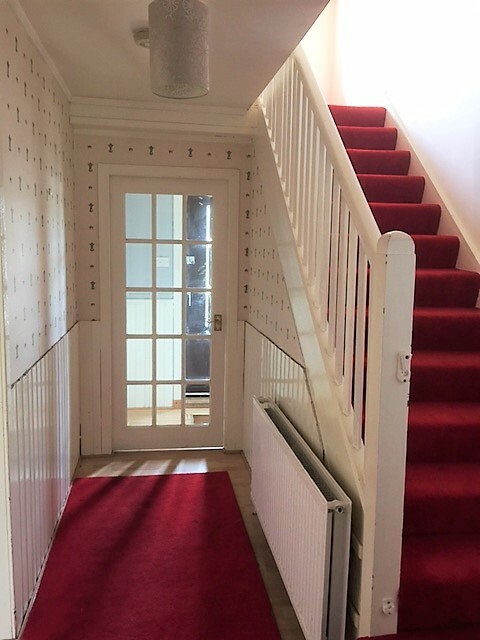 A fully carpeted staircase leads to the upper floor, where a hatch to the loft is situated. Access to the three double bedrooms. Bedroom 1 (4.11m x 3.16m approx.) 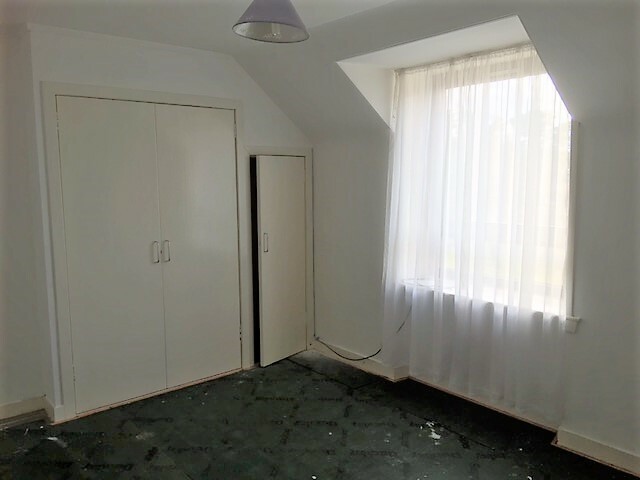 Double bedroom which benefits from a built in double wardrobe and further cupboard. 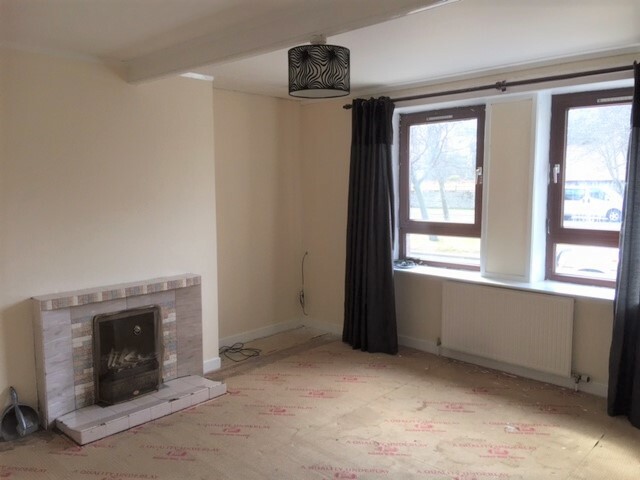 Fitted carpet, radiator and front facing window. Bedroom 2 (4.04m x 3.09m approx.) 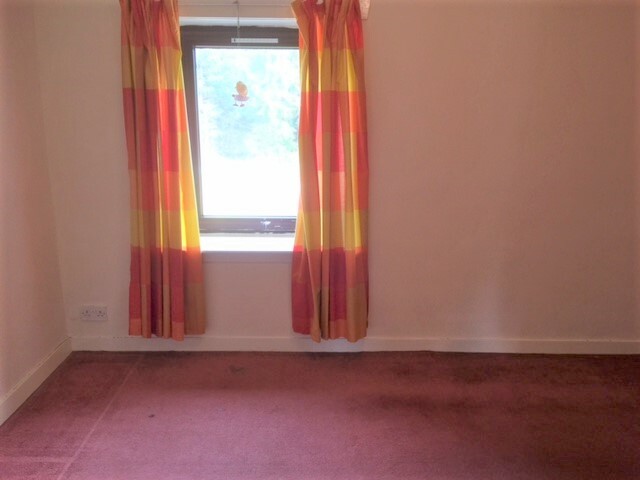 Double bedroom with built in double wardrobe, fitted carpet, radiator and rear facing window. Bedroom 3 (3.59m x 2.86m approx.) 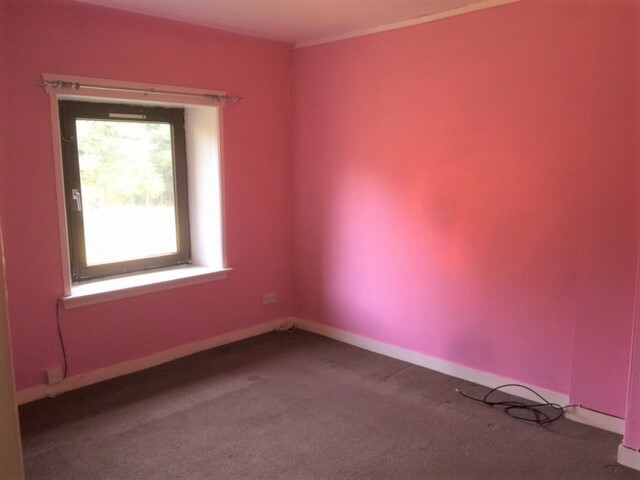 Double bedroom which also boasts a built in wardrobe, fitted carpet, rear facing window and radiator. 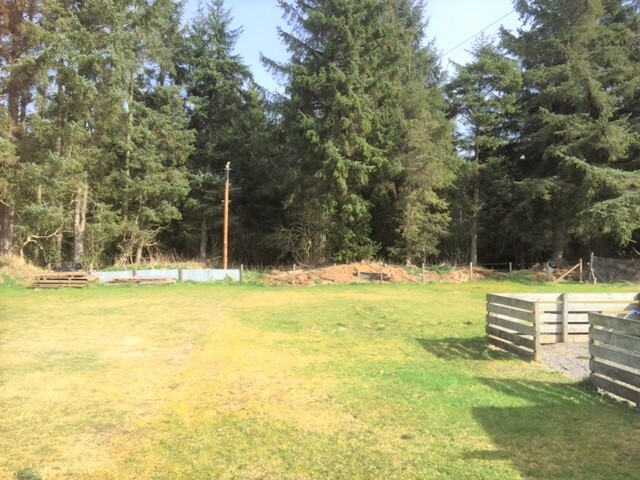 Outside The property benefits from a large rear garden which is set mainly in grass and split into 2 sections with a mutual path for access dividing the areas. Drying area and a shared shed. Note All carpets, floor coverings, curtains, blinds and light fittings are included in the sale. Some white goods may be available by separate negotiation.